Both the Assembly and Senate are in session today, the same day of the annual State of the Tribes address. Chairman Tehassi Hill of the Oneida Nation will deliver remarks to the Legislature this afternoon. Meanwhile, both chambers will convene for their only floor period of the month, where they’re scheduled to each take up a series of resolutions and a handful of bills. Another bill up for a vote in both the Assembly and Senate would officially roll back parts of a Walker administration emergency rule blocking prohibitions on the movement of deer carcasses from CWD-affected counties. 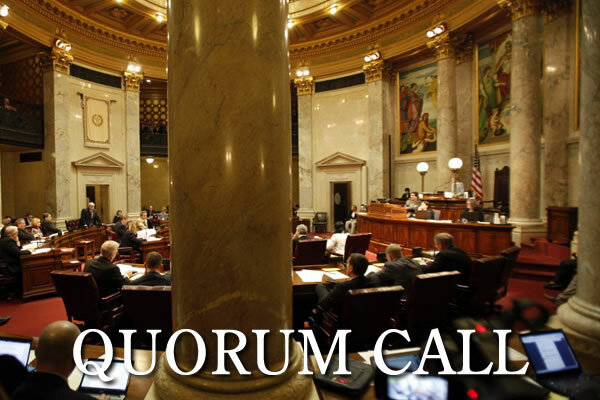 Meanwhile, state reps are scheduled to vote on a bill that would nix a deduction for businesses that move out of Wisconsin, an effort similar to a proposal in Gov. Tony Evers’ budget plan for the Wisconsin Economic Development Corp.
JR Ross is covering the Senate today, while Pat Poblete and Briana Reilly will be splitting up the Assembly. In addition to checking Quorum Call for developments, follow them for updates via Twitter at @jrrosswrites, @ByPatPoblete and @briana_reilly.